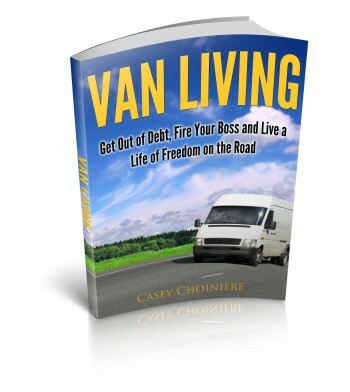 When planning how you’re going to sleep in your van you should consider how important it is to get a good nights sleep. Althought here are ways that you can plan your bed that will save you room in other areas it’s a good idea to make sure the bed is big enough to stretch out on. Most smaller vans are not wide enough to allow a person to sleep comfortably if the bed is positioned from one side of the van to the other. 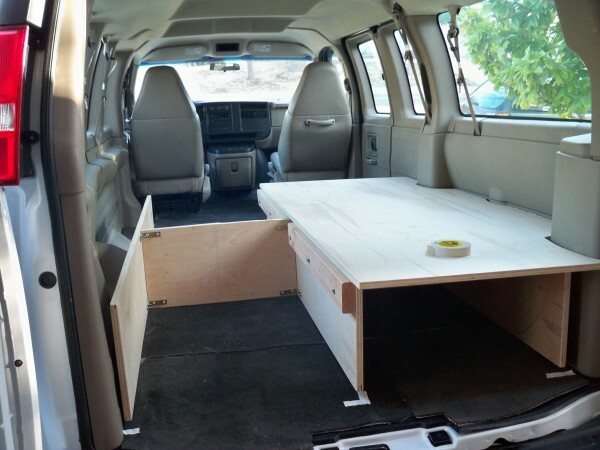 In most cases, smaller vans will require a lengthwise set up. 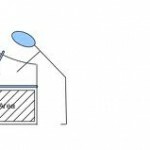 In order to conserve space it is often necessary to build a bed system that either folds up or turns into a seating area when not in use. 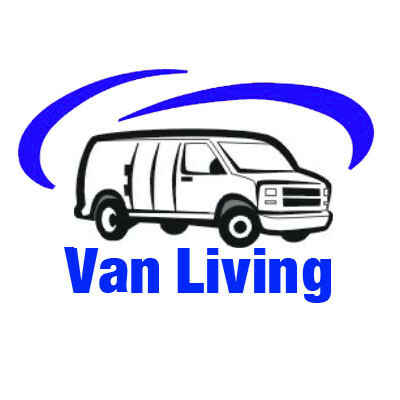 Full size vans are often large enough to accommodate a bed that is situated from one side of the van to the other. This allows greater flexibility in planning the van’s layout and also allows for a simple platform style bed to be used. Platform beds are a simple solution. 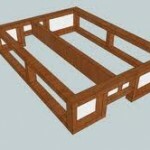 To build a platform bed you simply build a box frame from 2×4 or 2×2 lumber and cover it with plywood. You can use the underside of the platform for storage. 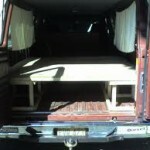 The platform is a very economical bed that is ideal for people without a lot of wood working or carpentry experience. You can purchase all materials to build a platform style bed at any lumber yard or home improvement store for $15-$40 depending on your choice of materials. 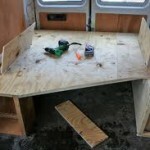 Building a folding bed can be a bit more involved and require a greater deal of mechanical or carpentry experience. 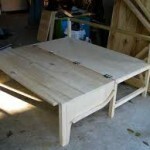 You can choose to build a simple folding bed that uses hinges or you can build one that slides out when you want to use it. 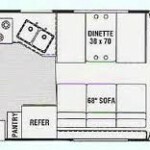 Below are a few pictures of various folding bed designs.